The Revenant is inspired by the 1820s true story of fur trapper, Hugh Glass (superbly played here by Leonardo DiCaprio). Glass is out hunting with a team of men in the dangerous wilds of the US Midwest when they suddenly find themselves under attack by a group of deadly Arikara warriors. Suffering many casualties, they are forced to hide their pelts and flee. Glass, the group’s guide, is then savagely attacked by a grizzly bear. He sustains brutal injuries from which he looks unlikely to recover. 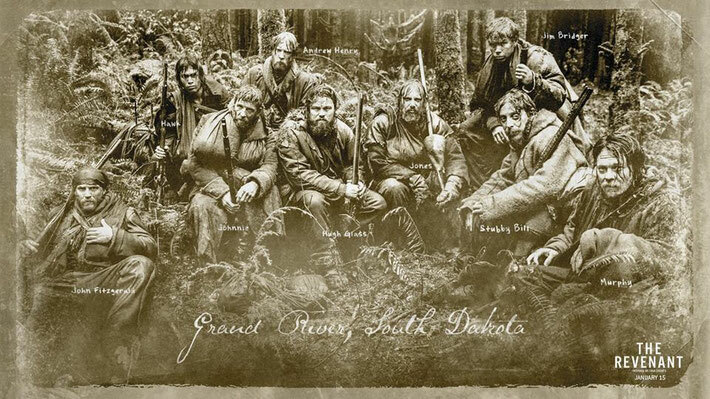 As the terrain and weather conditions deteriorate, group leader Captain Andrew Henry (Domhnall Gleeson) leaves Glass behind in the care of Glass’ teenage son, Hawk (Forrest Goodluck) a younger trapper called Bridger (Will Poulter) and John Fitzgerald (Tom Hardy) a tough, cynical hunter whose only interest is money. Henry demands that the three men take care of Glass and give him a proper burial when the time comes. However, Glass soon finds himself buried alive and abandoned. Glass rises from his grave in order to track down and take revenge on those who left him for dead. 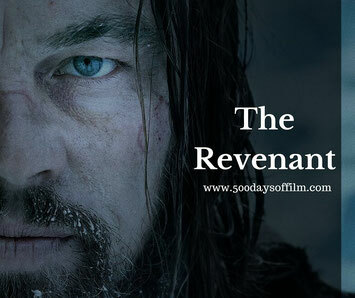 I saw The Revenant as part of Odeon’s Screen Unseen series. When the BBFC certificate came up there was a collective intake of breath and a ripple of applause. When the film ended, there was a collective intake of breath and a (louder) ripple of applause. This is a brutal and a beautiful film. Director, Alejandro González Iñárritu has again (after Birdman) teamed up with Director Of Photography, Emmanuel Lubezki, in order to tell us a story on an unbelievably epic scale. From the start, the camera is at the centre of the action - zooming through an Arikara attack with breathtaking intensity. There seems nowhere where Lubezki's camera won't go - even underwater as a trapper is drowned. Then, moving from the very heart of the battle, the camera pans out and out - capturing the majesty of the film's vast surroundings. This movie certainly has plenty of wow factor - particularly when you realise that the locations are real and not created via green screens and digital effects. Shot using only natural light (and firelight) The Revenant feels real. It looks tough and feels tough, it looks cold and it feels cold, it looks dangerous because it was dangerous (see Random Observations below). I would highly recommend that you see The Revenant and that you see it on the biggest, widest screen possible. It is a truly remarkable piece of cinema. Not much bar basic facts is known about the real Hugh Glass. This gives Iñárritu room to add his own background detail - such as the death of Glass’ wife and the moving bond he shares with his son, Hawk. Strangely, for a film that feels every one of its 156 minutes, The Revenant’s plot is a simple one - a straightforward tale of terrible wrongs and journeys of revenge. However, there is nothing easy about Glass' journey. He is forced to take survival to a whole new level. The bear attack is remarkable and may be what this film is remembered for - it looks and feels so real and is incredibly brutal. You really feel that you wouldn't stand a chance against these creatures (made me think of the Werner Herzog documentary Grizzly Man). Indeed, there are many violent and grim moments in this film and I feel that Leonardo DiCaprio suffered for every moment he was on screen. And he is on screen for most of the movie. DiCaprio’s is a powerful performance and certainly (in my opinion) Oscar-worthy. In fact, give the man an Oscar people before he really hurts himself. He has hardly any dialogue and much of what he does actually vocalise is in Pawnee. Apart from that it is mostly moans and growls. He has to convey a lot through his eyes and I think he does a very good job in extremely challenging circumstances. The Revenant also features a strong supporting cast. Tom Hardy is superb - almost unrecognisable and barely understandable (almost Bane-esque) as Fitzgerald. I felt Will Poulter was great as Bridger - if underused perhaps. Meanwhile, Domhnall Gleeson gives a solid and honourable performance as Henry. There were moments in The Revenant when I started to wonder if I was enjoying myself because of the story or more because of the movie's style and beauty. This is just such a wonderful film to look at. I wanted to soak up every single stunning frame and I have since consumed all the information I can find about how the movie was created. I think, in the end, I love The Revenant for all of its parts - for its beauty and for its brutality, for Lubezki’s cinematography and Iñárritu’s direction, for DiCaprio’s committed performance and for the film’s powerful and primal sound. By all accounts, this was a challenging movie to shoot - it certainly looks it on screen! 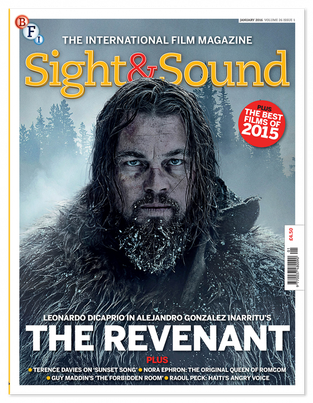 In an interview with Sight And Sound magazine (January 2016 issue), Iñárritu explains that "There was no day when it was not difficult... Every day was like a bear attack". Iñárritu fought and won many battles during the creation of his film - he was never interested in taking the easy route or using green screens or photo-real digital effects. He even created an avalanche during a crucial scene! 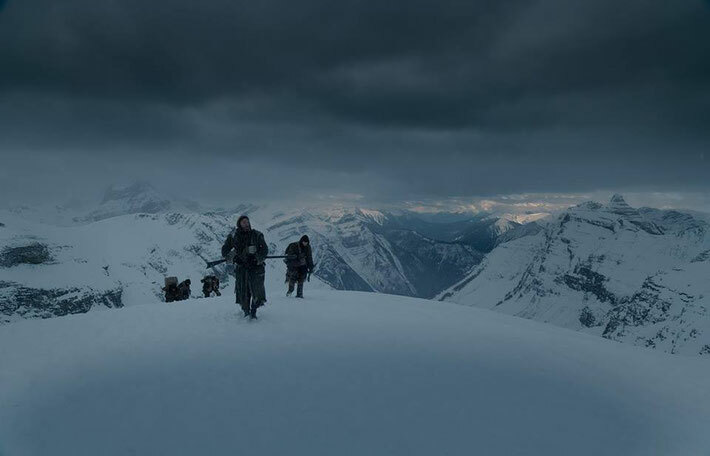 The Revenant not only looks cold but actually feels cold to watch. I felt myself getting pretty chilly! Emmanuel Lubezki, puts this down to the use of a new camera - a large-sensor digital ALEXA camera. In the Sight & Sound article, Lubezki explains that "it's very hard to feel cold when you are watching a movie. But I felt that this camera, because of the sharp quality of the image at very low levels of light, was able to translate that much better than any camera before." Have you seen The Revenant? If so what did you think of this powerful movie? I'd love to know - do leave me a comment in the box below!